1918 On December 15, Chihiro Iwasaki was born in Takefu, Fukui Prefecture. Moved to Tokyo the next year. 1933 Began to study sketching and oil painting under Saburosuke Okada. 1936 Graduated from high school. Had a painting accepted for the Shuyo Exhibition of Western-style Painting by Women Artists. 1937 Began to study calligraphy at the Fujiwara Kozei School. 1939 First marriage in spring. The couple went to Dailan, Manchuria. In winter, she was widowed and came back to Japan. 1942 Began to study oil painting again, this time under Tai Nakatani. 1944 In April, went to Manchuria with a women’s pioneer group. Returned to Japan in August as the war situation worsened. 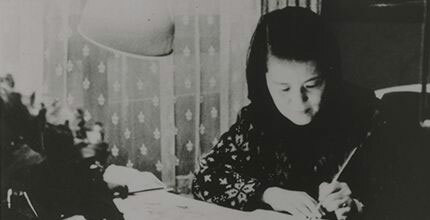 1945 Suffered the destruction of her family home in one of the air raids that attacked Tokyo; took refuge at her grandmother’s home in Matsumoto, Nagano Prefecture. 1946 Joined the Japan Communist Party in Nagano Prefecture. 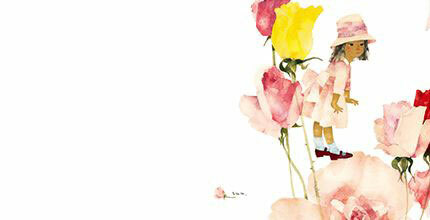 In spring, returned to Tokyo and studied art under Toshiko Akamatsu. Became a writer-illustrator for the Jinmin Shinbun (People’s Paper). 1949 Created and published a set of illustrated “paper-theater” storytelling panels called Okasan no Hanashi (The Story of a Mother), which won the Prize for the Minister of Education, Science and Culture in 1950. 1951 Birth of her son, Takeshi. 1952 Built a house in Nerima-ku, Tokyo (today the site of the Chihiro Art Museum Tokyo). 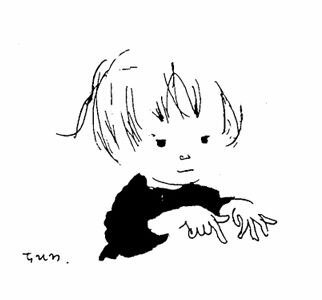 1956 Received the Juvenile Culture Award of the Shogakukan Publishing Co. for her book and magazine illustrations for young children. Created her first picture book Hitori de Dekiru yo (I Can Do It All by Myself). 1960 Created AIUEO no Hon (The Alphabet Book: A-I-U-E-O), which won the Sankei Children’s Books Award. 1963 Began a major series of cover illustrations for the magazine Kodomo no Shiawase (Children’s Happiness). In June, attended the Women’s International Conference held in Moscow. 1967 Illustrated Watashi ga Chiisakatta Toki ni (When I Was a Child). Her husband became a member of the House of Representatives, the Japanese Diet. 1968 Created Ame no Hi no Orusuban (Staying Home Alone on a Rainy Day). 1973 Kotori no Kuru Hi (The Pretty Bird) won the Graphic Prize Fiera di Bologna. Published Senka no Naka no Kodomo-tachi (Children in the Flames of War), posthumously granted the bronze medal of the Leipzig International Book Fair in 1974. In autumn, diagnosed with liver cancer. 1974 Died of cancer on August 8. The posthumous work Akai Rosoku to Ningyo (The Red Candles and the Mermaid) was published.